MOSCOW, August 16. /TASS/. The multifunctional laboratory module Nauka will be launched towards the International Space Station in November 2019, the CEO of Russia’s Roscosmos corporation, Dmitry Rogozin, told TASS in an interview. The module will be dispatched to the Baikonur space site in Kazakhstan in December 2018 or January 2019. "The work has been organized properly. We believe that if no disruptions occur, we will dispatch the module to Baikonur in December this year or January next year," Rogozin said. The module Nauka began to be made back in 1995. 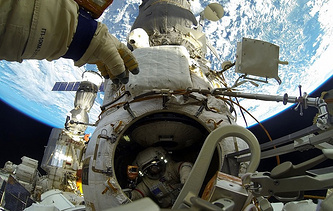 Originally it was to be used at the ISS as a stand-by substitute for Zarya. The launch was repeatedly postponed. In December 2013 it was brought back to the Khrunichev center due to clogging in the engine system. Nauka’s launch mass exceeds 20 tonnes. It can accommodate up to three tonnes of research equipment. The module is equipped with a docking port for Soyuz and Progress spacecraft. 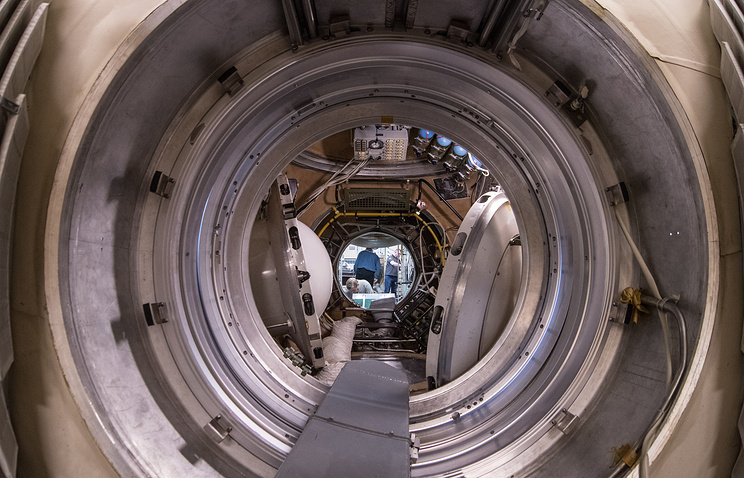 Its other functions are to pump fuel from Progress spacecraft’s tanks to the ISS, participate in the station’s attitude control and generate oxygen for six crew.